Easter is coming up quickly and I've been busy rounding up little gifts to fill our children's Easter Baskets! I've been collecting books to include since last year and can hardly wait to give them to the children. Some of the books I have purchased from either Amazon or Sacred Heart Books and Gifts, some have been purchased at local bookstores or on clearance, and some have been given to me as review copies from the authors or publishers. In addition to all the books, I love including something that represents each child's patron saint (this year it will be a mix of Saints 'N Stiches and Prayer Pillowcases), art supplies (this year they are for our upcoming Meet the Masters lessons including Lyra Aquacolor Crayons, Paper Chalk, Soft Pastels, and a couple different kinds of Oil Pastels from Pentel and Sakura), a small toy or two (little lego sets, metal earth, finger puppets, etc), and some symbolic Easter candy (I've made my own in the past, however with all the sickness we've been fighting this year I am hoping to keep candy to a minimum) in the Easter Baskets. I also usually put together a "Family Easter Basket" but since one of the girls will be celebrating her birthday on Easter this year, I'm planning on filling that basket just for her, incorporating the various Easter symbols into some of her birthday gifts this year! I'm still waiting for my last order to arrive, but I have listed all my picks for this year below along with some pictures. Be sure to scroll all the way to the bottom for a chance to win a book from the basket of books I have to share with all my dear visitors here at Shower of Roses! Note: Before I share the book list, I do want to remind you all that I haven't read most of these books yet. I made my decisions based on recommendations, reviews, publishers, and the past work of some of the authors/illustrators. Many of the links below are affiliate links. If you choose to click any of the links, then add an item (any item!) to your cart and complete the purchase, I will receive a commission. We are so grateful for this additional source of income. Thank you! Any book on the sacrament of Confirmation can explain what Confirmation is, but this is the only book that explains, in the most original and engaging manner, what Confirmation does. 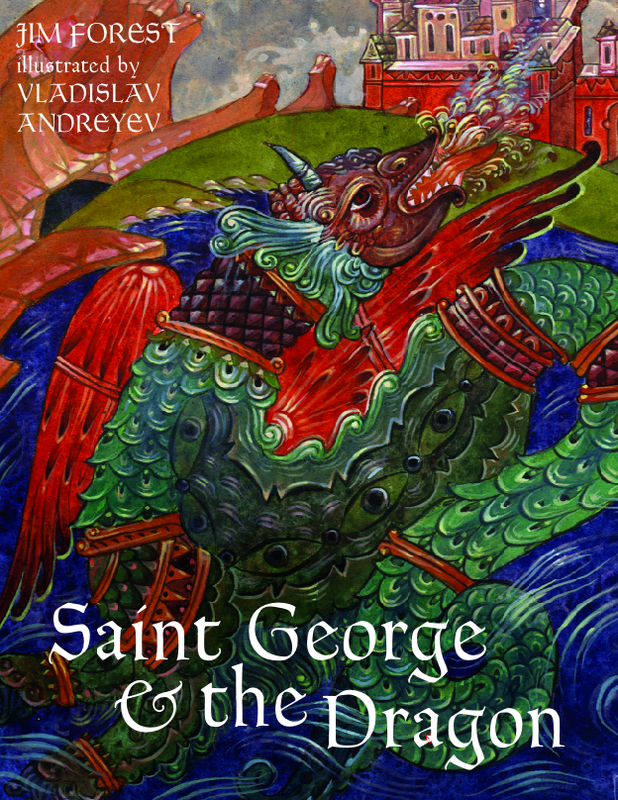 It is both a dialogue and a travelogue, taking the reader on a journey from the Crusades to the Crimea; from medieval ceremonies of Knighthood to early modern methods of warfare. What does it mean to be a Soldier of Christ? For the true child of God, life is a daily battle against a well-concealed foe-that is, our own flaws and failings-and Mother Mary Loyola proposes to arm young recruits adequately for this task, leaving no stone unturned in her quest to root out this 'enemy at home'. This is the sort of basic training no young Catholic should be without. This bestselling DIY handbook now features new and expanded projects, enabling ordinary folks to construct 16 awesome ballistic devices in their garage or basement workshops using inexpensive household or hardware store materials and this step-by-step guide. 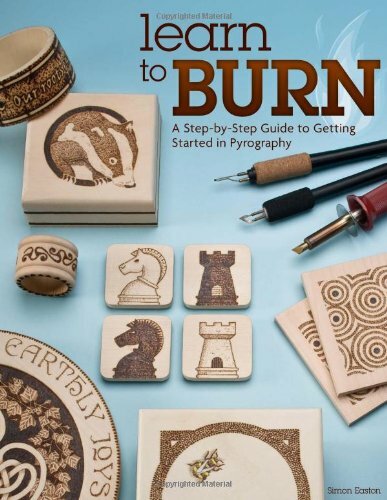 Clear instructions, diagrams, and photographs show how to build projects ranging from the simple match-powered rocket to the more complex tabletop catapult and the offbeat Cincinnati fire kite... 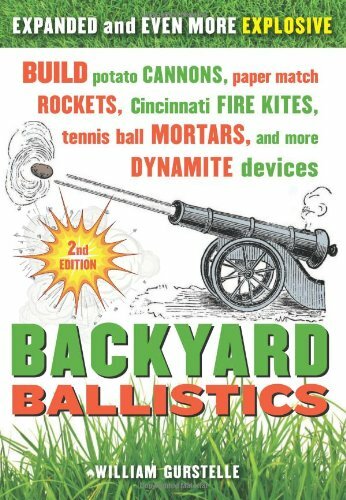 This book will be indispensable for the legions of backyard toy-rocket launchers and fireworks fanatics who wish every day was the fourth of July. Our oldest son was baptized on the feast of St. Ignatius and has always had a special devotion and love for this saint. It's a little young for his age, but I think he will still enjoy this comic style book from Pauline Books. This richly illustrated hardcover book tells the fascinating and deeply inspiring story of Pope John Paul II, who will be canonized a saint in April 2014. Young people will be drawn to the well-crafted pictures and simple text that tells the dramatic and inspiring story of one of the most important figures of the twentieth century, one that many are already calling "John Paul the Great". J.R.R. Tolkien is the father of modern fantasy. He created characters and a world so rich with details—and so unique—that it warranted a whole new vocabulary along with it. His creation of language is not surprising, considering his first civilian job following his service during World War I was working on the Oxford English Dictionary. 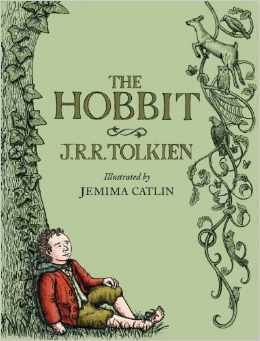 Inside, you’ll find a chronology of Tolkien’s life, along with a short biography and an explanation of his writings. Then flip through the dictionary to discover terms like Aglarond, the great caverns beneath Helm’s Deep, or the Black Riders and the mystery surrounding them—among many other terms. This companion serves as a terrific resource for all those in love with Middle Earth and its inhabitants. Captain received Book 1 of this series last Easter and Book 2 for Christmas. I've pre-ordered Book 4 for his birthday! 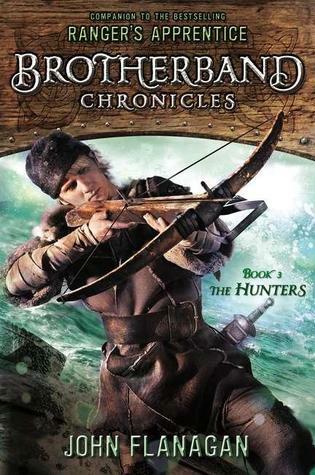 "From the author of the global phenomenon Ranger's Apprentice! Hal and his brotherband crew are hot on the trail of the pirate Zavac and they have one thing only on their minds: Stopping the bloodthirsty thief before he can do more damage. Of course, they also know Zavac has the Andomal, the priceless Skandian artifact stolen when the brotherband let down their guard. The chase leads down mighty rivers, terrifying rapids, to the lawless fortress of Ragusa. If Hal is to succeed, he will need to go beyond his brotherband training. He will need to challenge the pirate one-on-one, knowing only one of them will survive." Young people-boys and girls alike-will delight in these stories of warriors who in all ages have defended the right and fought for high ideals. William Canton was a journalist, poet and an author of children's books such as The Invisible Playmate(1894), W.V., Her Book (1896/97), and W.V. 's Golden Legend (1898), which was published in the United States under the title A Child's Book of Saints. His writing showed his great love for all things ancient as well as his flair for storytelling. 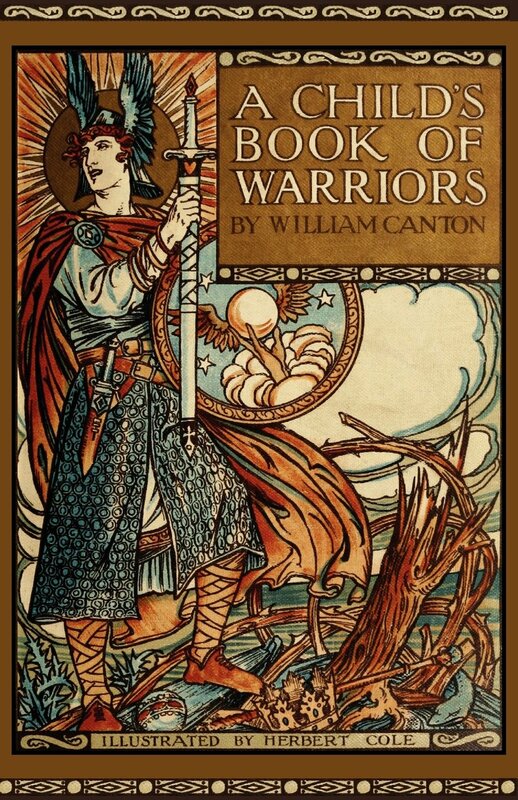 Though A Child's Book of Warriors was published 14 years after A Child's Book of Saints, it has similar stories and a similar style, so that the two are like companion volumes. 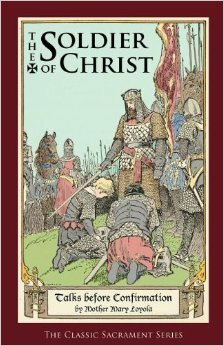 The notable characteristic of both is Canton's unique penchant for British history and the appeal of his lyricism as he recounts the tales of saints and other heroes less well known to us today. 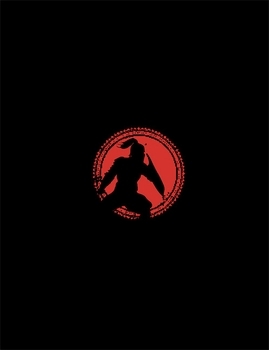 The noble qualities of each character shine forth as each legend comes to life in these pages. "It’s an old-time playtime—nothing electronic, just games that have stood the test of time! They help children build skills like hand-eye coordination, problem solving, and simply learning how to be a good team player and work well with others. But most of all, they’re lots of fun. This collection of timeless games guarantees kids a great time—by themselves, with a group of friends, or with their family. And best of all, no batteries are required . . . and very little equipment, too." The exciting life story of Pope John Paul II, a man who touched the whole world with the power of his faith and love. Features include a summary of important events, photos, and a listing of pastoral visits around the world. 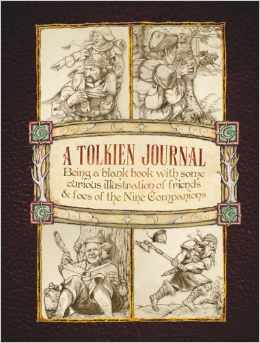 "Aspiring writers and Tolkien fans everywhere will be inspired by this fantastical journal. Harkening back to a time of quills and parchment in the magical world of Middle-Earth,A Tolkien Journal is the preferred means for a Halfling to record his thoughts and adventures. 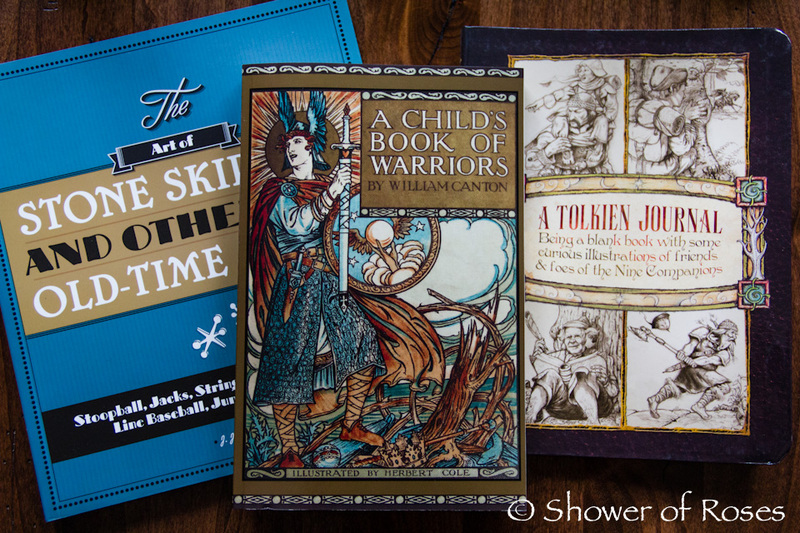 Now available to humans and with amazing half-tone illustrations on nearly every page, A Tolkien Journal is the perfect enchantment for your writings and musings." The Essential Training Guide for Young Dragon Fighters, Based Wholly on the Practices of the Great Dragon Slayers of Old and the Wisdom of Their Ancient Manualby Sir Wyvern Pugilist. 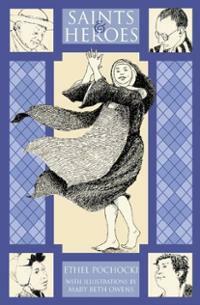 In this updated anthology Ethel Pochocki (author of Once Upon a Time Saints books) has selected a mixture for older youth of soldiers and sailors, kings and queens, doctors, lawyers, beggars, thieves, poets, diplomats, fools and cranks, and she has told their stories in her characteristic lively style. She shows how brave and generous such people were; how they challenged the society they lived in; and how they have since become light-bearers to enthral future generations of young people. 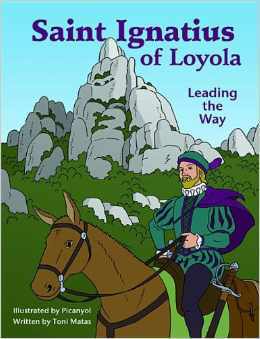 Beginning with the Mexican Indian, Saint Juan Diego, born in 1474, and spanning 500 years, these 33 chapters include modern men and women, such as Blessed Teresa of Calcutta and Jean Vanier, as well as old favorites such as SS Teresa of Avila, Philip Neri and Francis de Sales. The year was 1429, and the Hundred Years' War was raging. The Dauphin, the rightful king of France, had been denied his rightful throne, his hereditary lands torn from him. His enemies schemed to crown the English king as monarch of both England and France. Only a few French strongholds remained loyal. Hope was trickling away . . . But outside the besieged town of Orleans, a seventeen-year-old girl from Domrémy, her white and gold banner flying, would lead the French army to an improbable victory over their English oppressors. "What God commands must be right," she declared. Who was this astonishing young woman? How did she accomplish the feats that military experts called impossible? 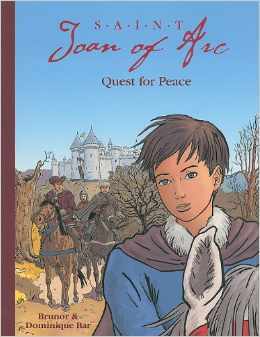 And what would become of her-and of her heroic quest for peace? New edition by Chesterton Press! Our first series for younger readers. 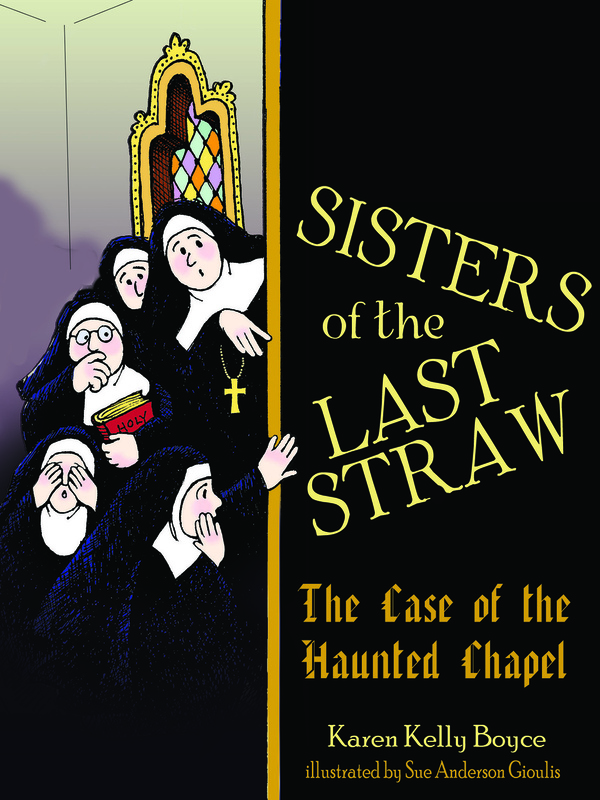 Meet the Sisters of the Last Straw, a group of sisters struggling hard to overcome their bad habits. Sister Krumbles forgets everything. Sister Shiny can't stop polishing and cleaning everything. Mother Mercy has a terrible temper. Yet when the misfit nuns band together to form a new order, lessons on tolerance and forgiveness (as well as much hilarity!) ensue. Wonderfully illustrated by Sue Gioulis, this series by veteran Catholic novelist Karen Kelly Boyce is sure to please readers of all ages. 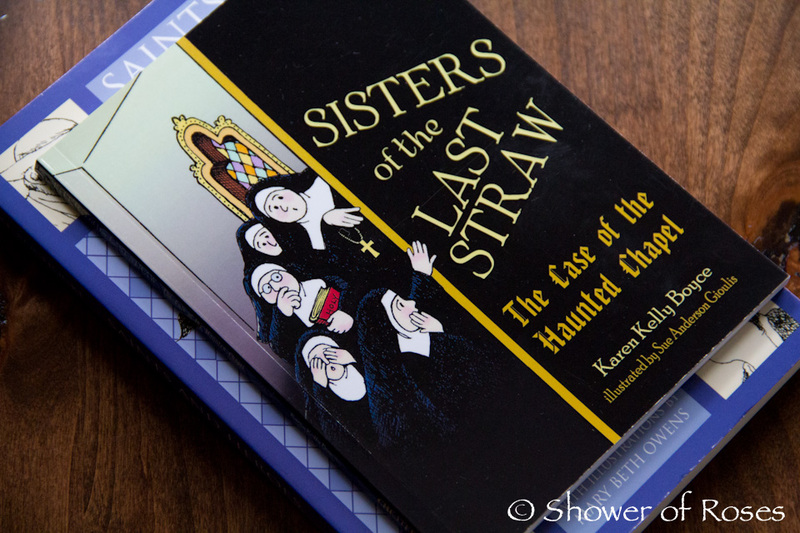 In this first book, Sister Lovely keeps hearing voices in the chapel. Could it be ghosts? Or is there another mystery? And then there's the matter of the runaway goats... read on to enjoy your first adventure with The Sisters of the Last Straw! When Oliver Stoop, age 11, moves with his family to a remote piece of land in northern Indiana, he soon discovers that someone is already living there - an entire kingdom of someones, in fact. These are the good citizens of Patria, a secret land founded by refugees from the Trojan War who sailed across the Atlantic in a reconfigured Trojan Horse - 3,000 years ago! 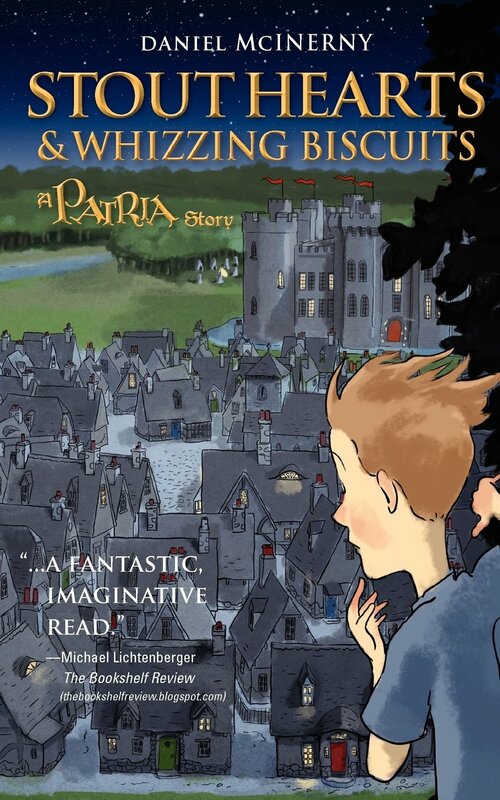 For Oliver, Patria is a land of wonders - and for the first time in his life, friendship. There's young Prince Farnsworth Vesuvius, inventor of the Magna-Pneumatic Whizzing Biscuit Blaster, and his formidable sister, Princess Rose, whose inedible, stone-hard biscuits provide the blaster's ammunition. But there's also the rest of the eccentric and lovable Patrian Royal Family, the boy warriors in the Potawatomi Indian Camp, not to mention the Viking kids from the Geat Village, newcomers to the area who only arrived 1,000 years ago. Yet when the noble Knights of the Blue Sock threaten to drive off the Stoops by force of arms, Oliver has to decide where his loyalties lie, and whether he has the courage to undertake the quest that is both Patria's, and his family's, last, best hope of peace. Join Oliver now as he discovers a new world of fun and excitement right in his backyard! 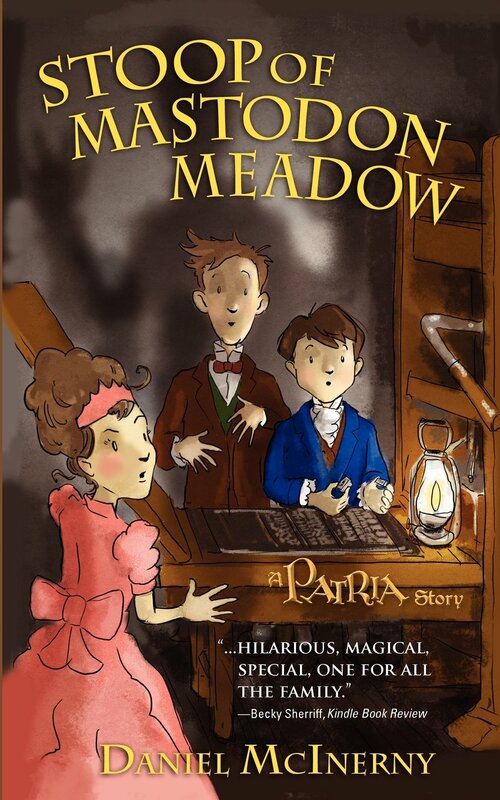 In this hilarious and cavity-preventing sequel to Stout Hearts & Whizzing Biscuits, Oliver Stoop enrolls in the boys' school in Patria, Mastodon Meadow. But almost as soon as he arrives he is caught up in a mystery involving a scandalous and anonymous new student newspaper, the Avenger. And when Oliver and his best friends, Prince Farnsworth and Princess Rose Vesuvius, emerge as the prime suspects behind the mudslinging broadsheet, it will require all the pluck and ingenuity of Vesuvius, Stoop & Co., Detectives, to find the real ink-fingered culprits before they themselves are fingered for the crime! "Who do you love most?" Framed around the question "Who do you love most? 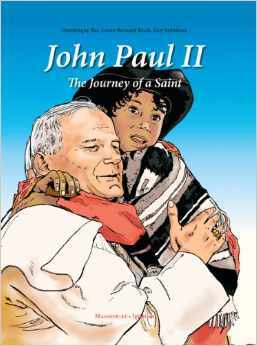 ", this ravishingly illustrated biography for children ages 6-9 tells the captivating story of Saint John Paul II. 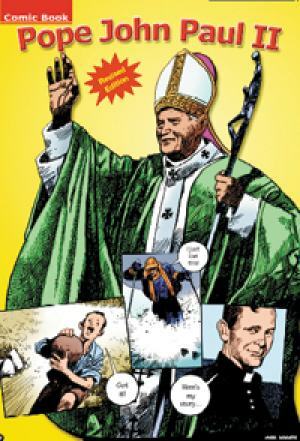 The story, bursting with brightly colored illustrations, reveals how John Paul II's answer to that very important question blossomed into heroic virtue, holiness, and service to the Church and the world. From an ordinary little boy growing up in Poland to the world leader of the Catholic Church, John Paul II serves as an inspiration for today's aspiring youth. Share your affection for this beloved pope and celebrate his canonization with the children in your life! 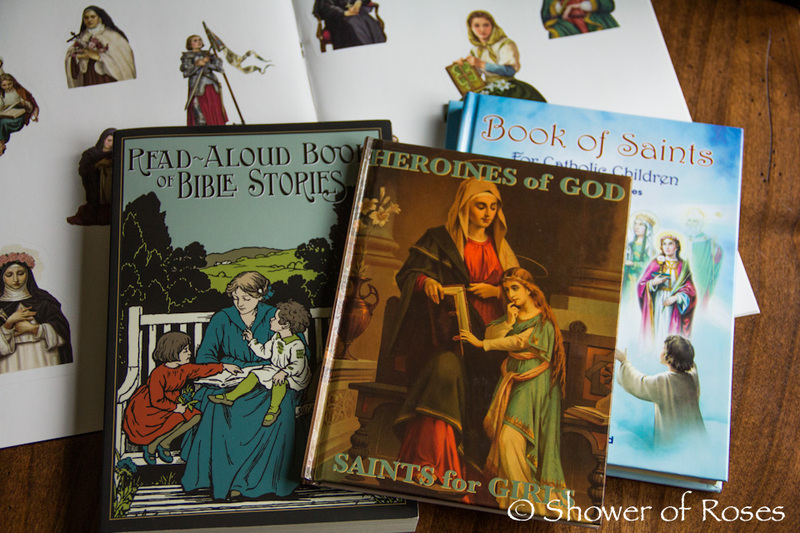 This beautiful book contains 96 illustrated stories of saints from St. Agatha to St. Zita. Each saint has a story and a picture of the saint and their feast day. Indexed. 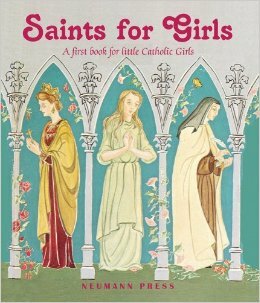 A book about female saints, directed towards strengthening the faith of young girls. For each saint, there is a picture, and a short, page long description of their lives. Exact reprint of Dujarie Press 1957 printing. In 1194, Saint Clare was born into a wealthy family in Assisi, Italy. As she became a beautiful young woman, her father expected that she would marry a wealthy man. But Clare believed that God did not want her to marry. When Clare heard Saint Francis preach, she asked for his advice. Saint Francis helped Clare discern that God was calling her to live a life of prayer and poverty. 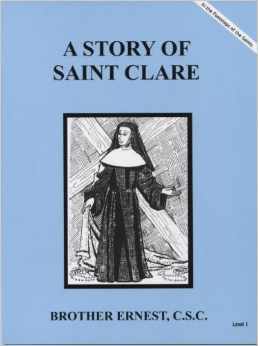 Together, they founded a cloistered Order for women, which is now known as the Poor Clares. Reading this story can encourage us to follow in the footsteps of Saint Clare, who loved God so much that she devoted herself to a life of prayer and poverty, secluded from the cares of the world. In this fabulous and instructive blend of tale and history, children ages 5-8 will be inspired by the lore and legend of the faith. 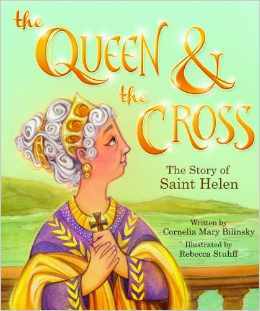 Boys and girls alike will be captivated by Helen, a heroic empress on a mission, and will be encouraged to treasure the Holy Cross in their own lives! This wonderful activity book for Catholic children features 25 reusable easy-peel stickers. 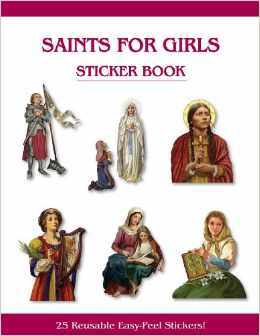 In "Saints for Girls Sticker Book" children can read the names of the Saints in the book, and choose the Saint that fits in the appropriate space. They can also use these stickers to make holy cards and greeting cards or to decorate their own books. 8.5" W x 11" H, 12 pages of stickers. I purchased this lovely book when it was first released at the end of 2012 and I still haven't given it to the children. I'm looking forward to reading it with them soon! 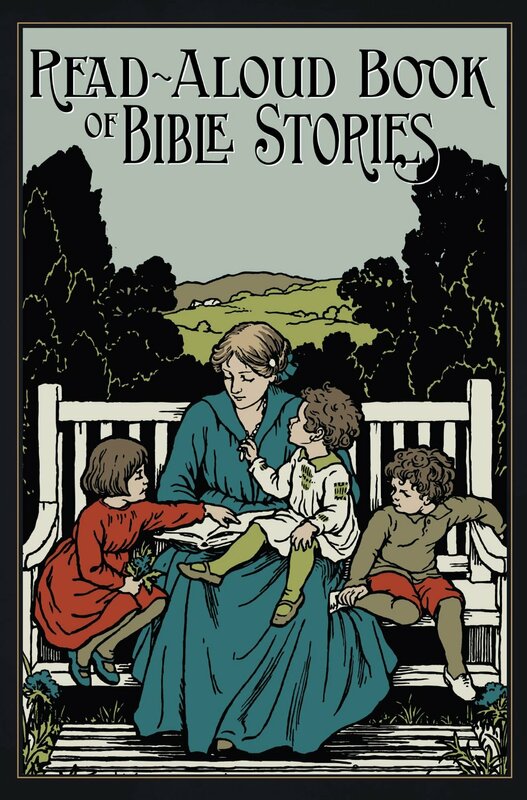 "From the scores of beautiful and thrilling tales in the Bible, celebrated British author Amy Steedman has collected three dozen that are sure to delight young children. With the confidence of a master storyteller practiced in holding the attention of even the most restless child, she weaves tales of Noah and Moses, Solomon and David, and Daniel in the lion's den. She leads young listeners to marvel at prophesies of the coming Savior, to be charmed by the gentle goodness of His boyhood, and be dazzled by the scores of miracles that proved He is the Messiah coming to save Israel ... and to save, as well, every little child who hears these stories." 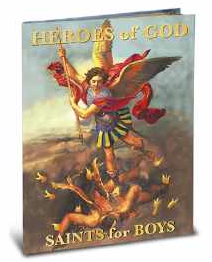 "Fr Daniel Lord's Famous Stories of the Saints Chosen Especially for Boys (64 pages). Beautiful Illustrations for Every Bible Story by renowned Classical Children's Artist Larry Ruppert ." "Discover the story of Pope Francis! 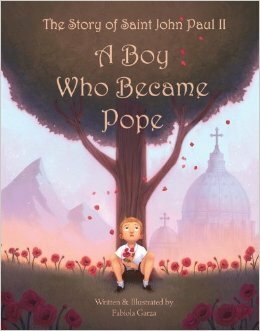 This delightfully illustrated biography leads young readers ages 6-8 to identify with the adventures and challenges that molded Pope Francis into a missionary of God's unconditional love. Pope Francis was born Jorge Mario Bergoglio on December 17, 1936 in Buenos Aires, Argentina to parents of Italian descent. He was elected as the 266th pope on March 13, 2013 after the resignation of Pope Benedict XVI. As the first pope to be a member of the Jesuit religious order, to come from Latin America, and to take the papal name in honor of Saint Francis of Assisi, Pope Francis made history. 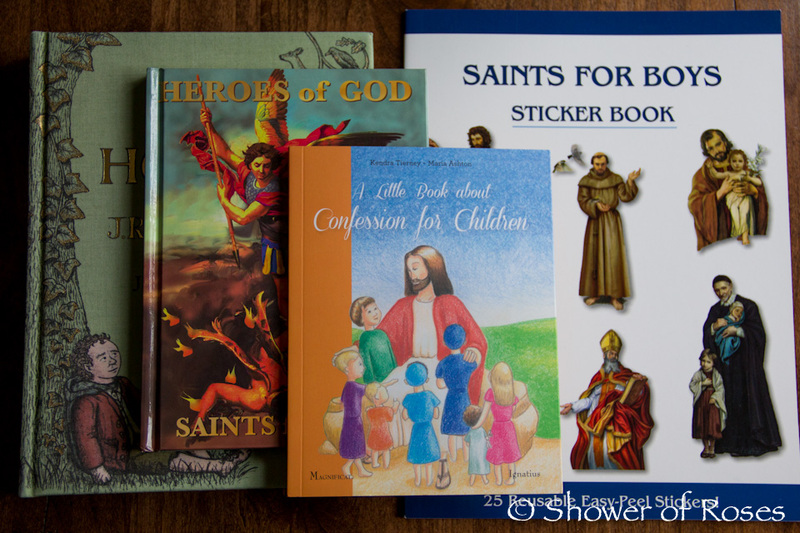 This wonderful activity book for Catholic children features 25 reusable easy-peel stickers. 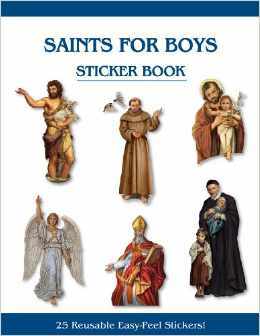 In "Saints for Boys Sticker Book" children can read the names of the Saints in the book, and choose the Saint that fits in the appropriate space. They can also use these stickers to make holy cards and greeting cards or to decorate their own books. 8.5" W x 11" H, 12 pages of stickers. 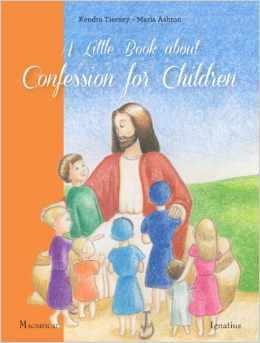 "A Little Book about Confession for Children explains the hows and whys of going to Confession. It includes step-by-step instructions for preparing and receiving this beautiful sacrament of healing, which draws us into the infinite mercy of God. The book even provides an examination of conscience just for kids. Everything you and your child need to know about the Sacrament of Reconciliation (or Confession) can be found in this informative little book with charming four-color illustrations. Perfect for preparing to receive the Sacrament of Reconciliation for the first time, this little book is sure to be used over and over again." Such a beautiful book! 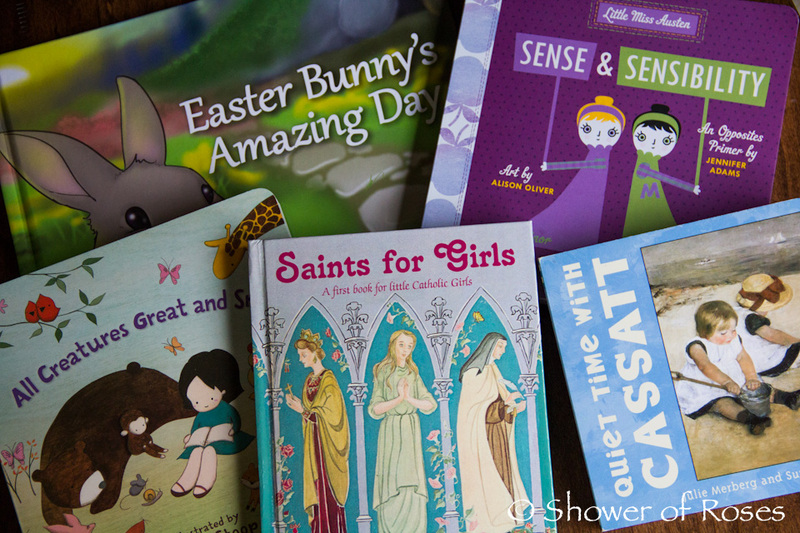 "Saints for Girls's a beautiful treasure for little Catholic girls with saint stories they will love, remember and admire. Illustrations on every page with over half in full color. 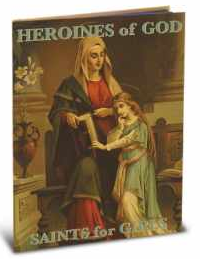 Those included in this edition are Saints: Genevieve, Elizabeth, Frances Cabrini, Helena, Brigid, Teresa of Avila, Thérèse of the Little Flower of Jesus and Bernadette." "A lush little board book edition of the beloved hymn. 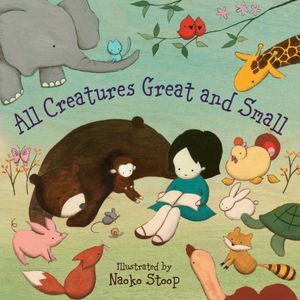 Naoko Stoop's charming art, with an array of cuddly animals and an adorable little girl, captures the sweet spirit of the lyrics, which offer praise for nature, beauty, and the glory of all creation. The girl, accompanied everywhere by a cute monkey, wanders through glowing fields of flowers, where birds fly and nest; purple mountains with a flowing river where ducks make their home; and lush butterfly-filled meadows, perfect for playing. This is a gorgeous book for parents and children to share. " 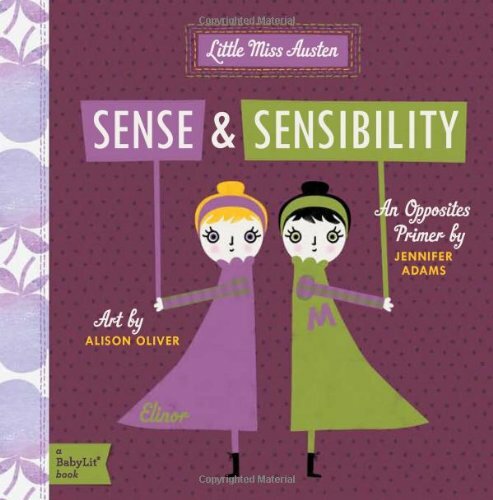 New board books in the best-selling Mini Masters series feature beautiful paintings from Cassatt, Renoir and Picasso and rhyming text introducing budding artists to these famous masters. 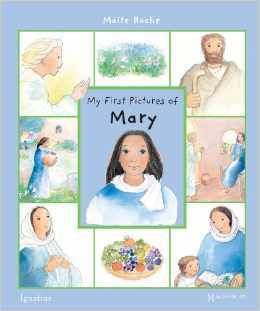 This charming board book with rounded corners introduces toddlers to their Blessed Mother Mary with sweet, four-color pictures. Key moments in Mary's life are illustrated with one large picture and, on the opposing pages, several smaller pictures containing details from the scene. By pointing out and naming the pictures with a parent, even very young children can come to know and love Mary, the mother of Jesus. 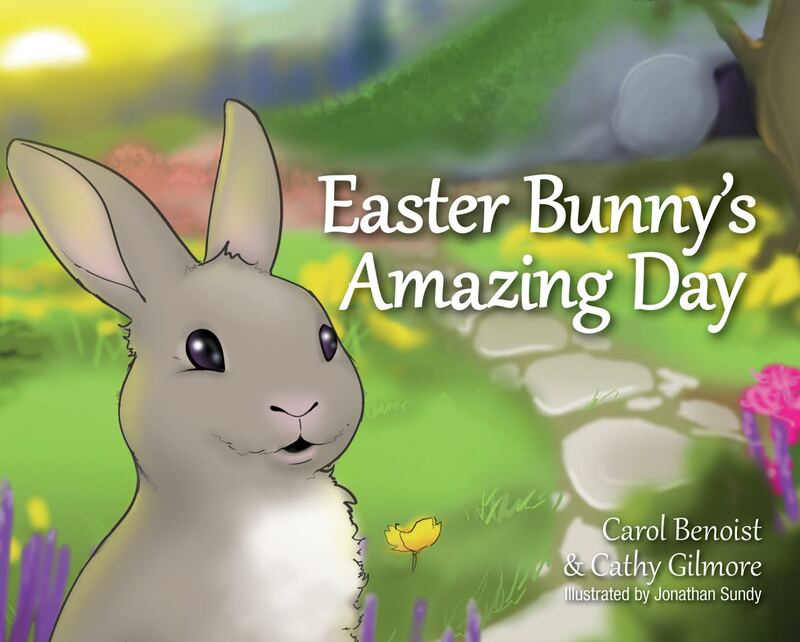 Meet the Risen Jesus with an amazing bunny—and his amazing tale—in this beautifully illustrated hardcover children’s book. 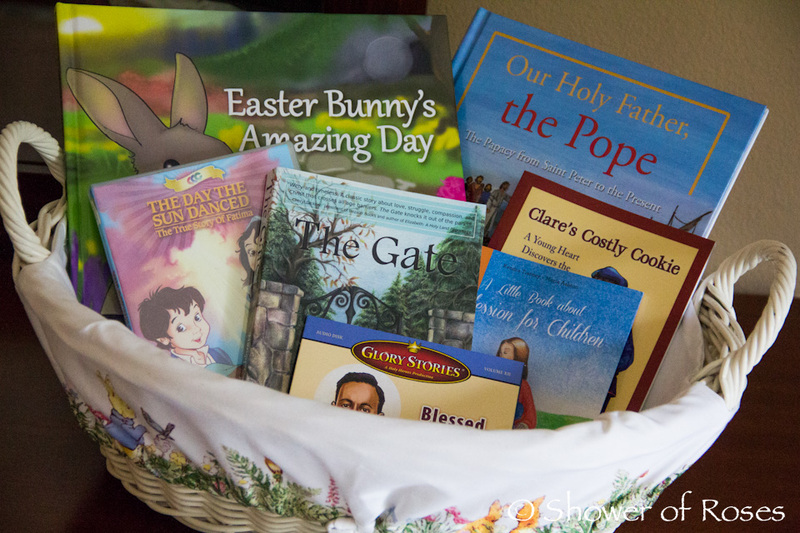 Children will learn about Jesus’ friendship and comfort through the eyes of a timid bunny rabbit who experiences firsthand the love and joy Jesus brings. 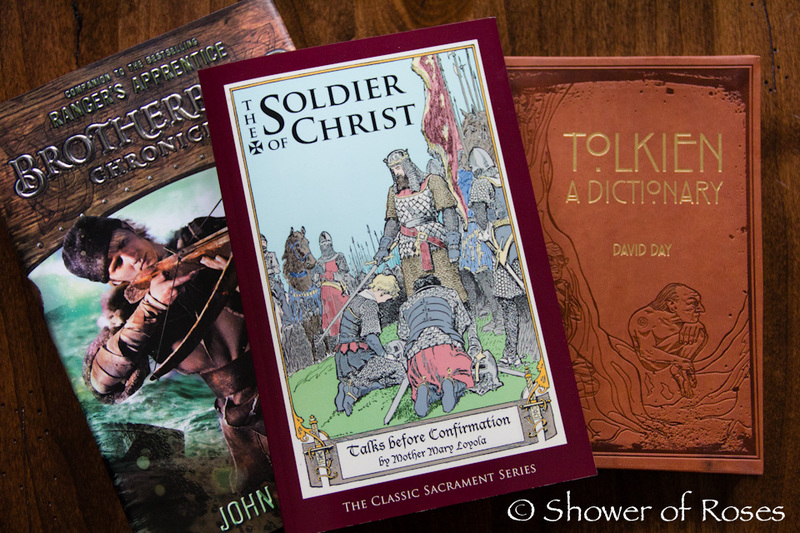 A new enhanced version will be available Easter 2014, and these first-edition copies are going fast! Easter Bunny's Amazing Day is sure to be a family favorite every Easter. 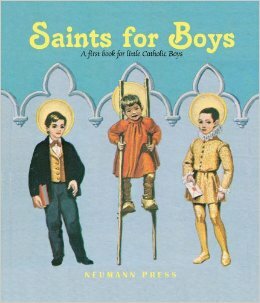 "Saints for Boys is compiled especially for little Catholic boys preschool age up through the second grade level with illustrations on every page, over forty in full color. These stories will be loved by little Catholics and will remain in their hearts and memories for years. 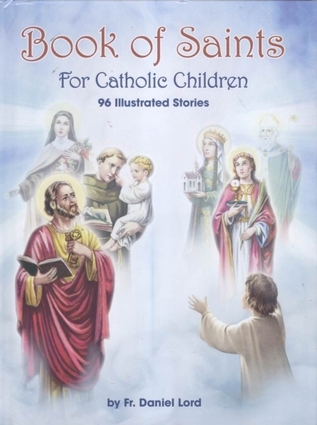 Those included in this edition are Saints: Aloysius Gonzaga, Vincent de Paul, Dominic Savio, Francis of Assisi, Archangel Gabriel, Joseph, Patrick, Benedict and Michael. Also included are some special and important first prayers. " 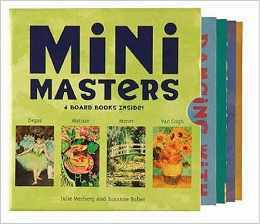 Four beautiful board books from the best-selling Mini Masters series, all packed in a colorful box. The set includes: Dancing with Degas, A Picnic with Monet, A Magical Day with Matisse, andIn the Garden with Van Gogh. 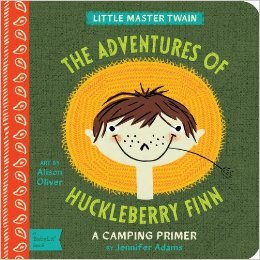 "Take a trip downriver in Huckleberry Finn: A BabyLit Fishing Primer. Alison Oliver’s crisp illustrations help little ones learn fishing vocabulary such as “raft,” “river,” and “fishing line” while Jennifer Adam’s carefully curated quotations from the original text will have parents reading with the soft, twangy accent of Mark Twain." Old Mother Rabbit lived in a shoe. She had twenty-six children and knew what to do. 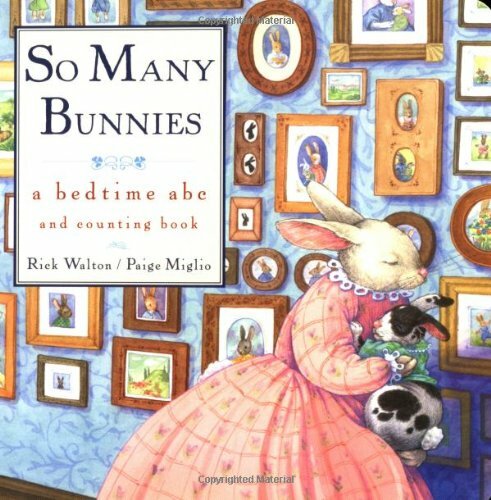 From Abel, who sleeps on a table, to Zed who sleeps on the shed, help Mother Rabbit tuck a whole alphabet of adorable little bunnies in for the night. 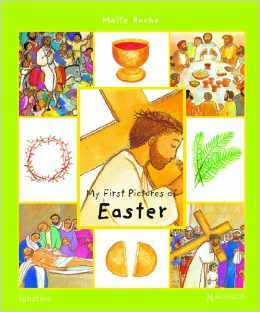 The moving events of Holy Week and Easter are tenderly told and illustrated for toddlers by the best-selling children's author Maite Roche. Palm Sunday, Holy Thursday, Good Friday and Easter Sunday are introduced with one large picture and simple text. On the opposing page are smaller pictures with key terms. With this book, even very young children will quickly learn the story of the death and resurrection of Jesus. "Little ones learn to look for all God’s Easter blessings. Preschoolers can’t help but notice all the new wonders of springtime, and God Bless Our Easter emphasizes that each blessing comes from God! Lambs, bunnies, ducklings, piglets, chicks—lots of snuggly farm animals will take your little ones through the sweet rhyming story and have them asking to read the book long after Easter is past. 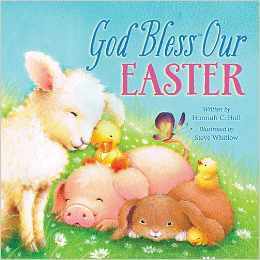 The second book in the new God Bless series, God Bless Our Easter from the same illustrator of God Bless You and Good Night." You can find links to all my other book lists here and our past Easter posts here. 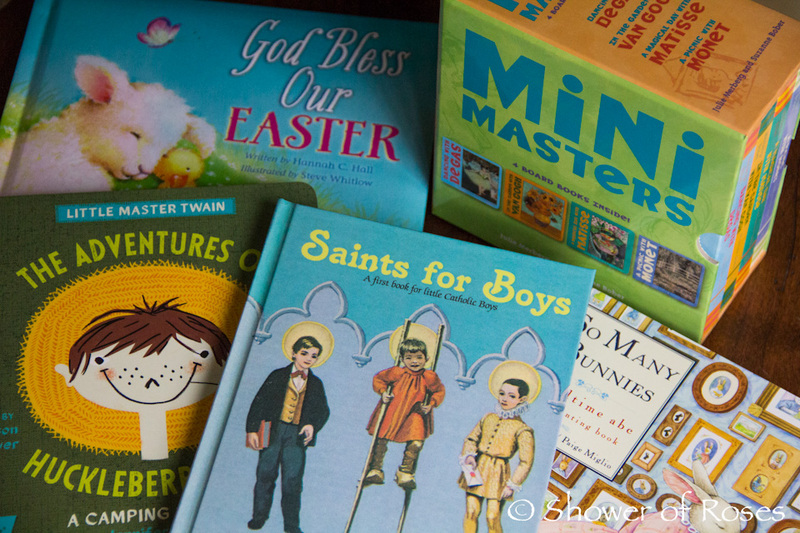 A Basket of Books to Giveaway! 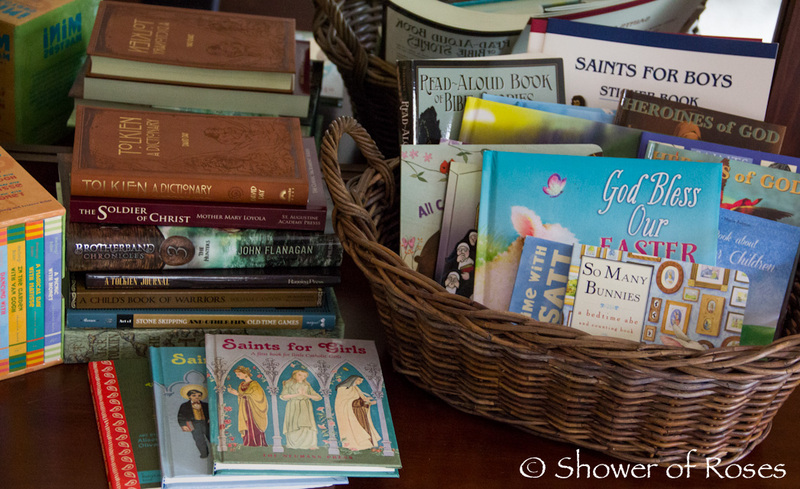 I have a basket filled with books to send to my visitors here at Shower of Roses! Some of these books are duplicates of what our children will be recieving in their baskets this year and the rest are books they have been given in the past (including the Stacks of Books on Christmas Morning and Baskets of Books last Easter). I will be drawing seven names, one for each title, using the random generator through Rafflecopter. Thank you to Harvey House Publishing, Ignatius Press, and Ligouri for sponsoring some of these giveaways!